There are few things I love more than a good old road trip. I love cruising along, wind in my hair, not a care in the world, etc. (ok, it doesn’t always go like that, but it’s always a good time!). While I have managed to explore a lot of Australia through the art of road tripping, I’m yet to see many other prime road trip destinations – like the US. But I’ve heard Utah is a rad place to drive around, so I asked fellow travel blogger Megan to write up this Utah road trip itinerary for you all! So let’s dive in! Utah is the best state. There, I said it. Ok, it might not be, but it’s the best I’ve been to so far and I’ve been to a lot. I mean, it has everything: mountains, desert, lakes, ruins, and some of the coolest national parks in the US. 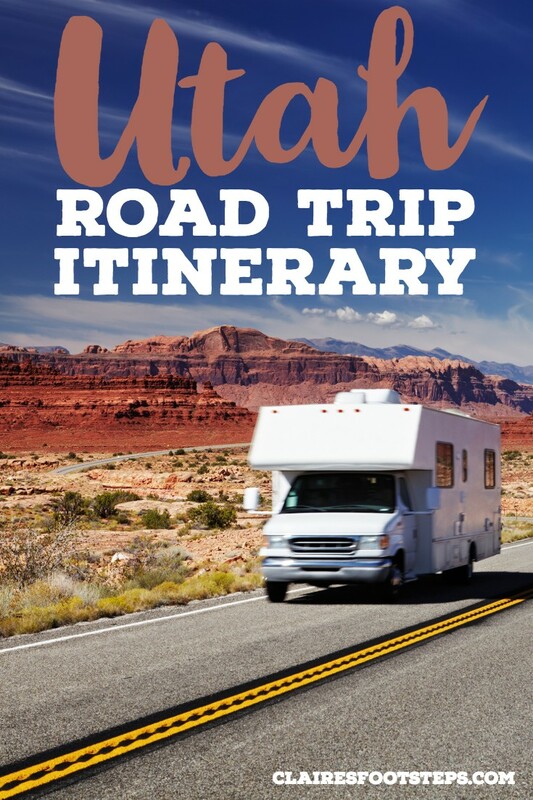 It’s a road trip haven and I’m going to share the best three weeks in Utah road trip itinerary – with a few days in northern Arizona as well. It will show you the best of the southwest. I will be assuming two things throughout this post: you have a car and you’re visiting in the summer. If you’re coming from out of the country, flying into Salt Lake is going to be easy. That is what I will be using as the arrival and departure city in this Utah itinerary. Las Vegas, Nevada and Flagstaff, Arizona are two other good options to fly into; the order would just need some tweaking. If you’re coming from somewhere in the US, of course, you can fly as well, or you can turn it into a Great American Road Trip and drive from home. I would personally do this because I love road trips and it’s easier to pack. If you plan to stay in hotels, AirBnb’s, or tent camp, a car will be your best option. They’re cheaper to rent than campervans and, depending on what you get, are generally more fuel efficient. Four-wheel drive and high clearance aren’t necessary for this itinerary, but if you do plan to do a lot of off-roading or back road driving, you won’t really be able to get by without something like a Jeep or 4Runner. In places like Moab, known for off-roading, you can always rent a Jeep for a day or take a jeep tour. If you want to be able to make some of your own food and camp anywhere, a campervan will be your best option. If you don’t plan on doing any off-roading or driving on really rough roads, sticking to the main paved roads, this is perfect for you. It will cost more per day, but you will be spending less on hotels and other accommodation. It will cut costs on camping as well, since you can camp for free on BLM or national forest land out here, which I would highly recommend. I would only do this if it was me and one other person since it is still a regular sized vehicle. 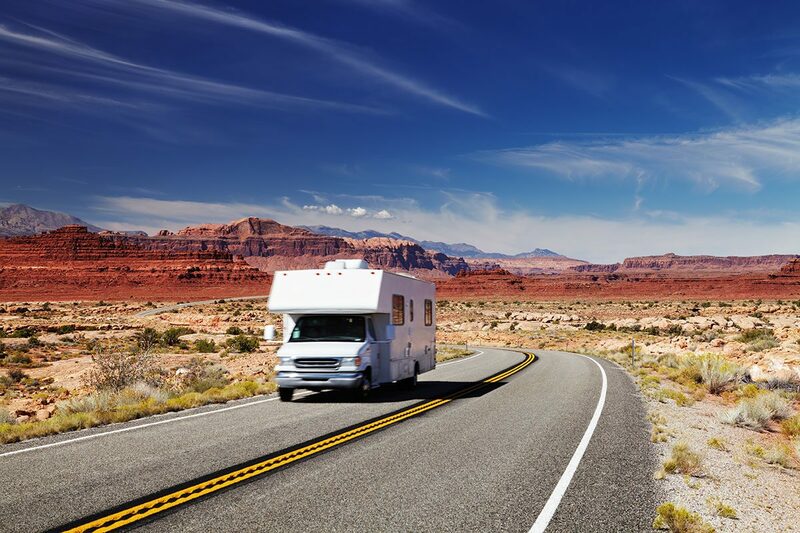 If you want the conveniences of a campervan, but better and a lot more spacious, go for an RV. This is also a good option if you are with a group, or more than three people. This will be the most expensive option, but your accommodation is literally wherever you are, so that’s a bonus. This is a great option if you’re sticking to the main roads. There are plenty of lodging options in these areas from hostels to hotels, teepees to apartments, and campgrounds to the side of the road, you can do it all. There are hotels everywhere so reservations aren’t always necessary weeks ahead of time. However, if there is a specific place you want to stay or if you’re on a tight budget, I would recommend reserving it to make sure you get what you want and don’t end up having to spend a lot of money on a walk-in at the last minute. I won’t recommend specific places to stay unless they’re really cool or fill up fast. For camping, you can either stay in campgrounds, which is nice in the national parks so you can get going early, or you can camp for free (dispersed camping or dry camping) on BLM or National Forest land which is the majority of land out here. This is a great source for free camping in Utah. If you’re looking for campgrounds, check ahead of time to see if they take or require reservations. Some do, some don’t, but either way, they can fill fast depending on where they are. This isn’t everything you need to bring, just some of the things you may not think of and some essentials! This is really just a fly in day, but if you have time, visit Liberty Park, check out Temple Square, or do a short mountain hike nearby before heading south. Now, you don’t have to use a day for each of these, they can be combined, but five days will give you plenty of time to see a lot of the area. This is probably my personal favorite area and it is a great base for day trips. This is a must-do. 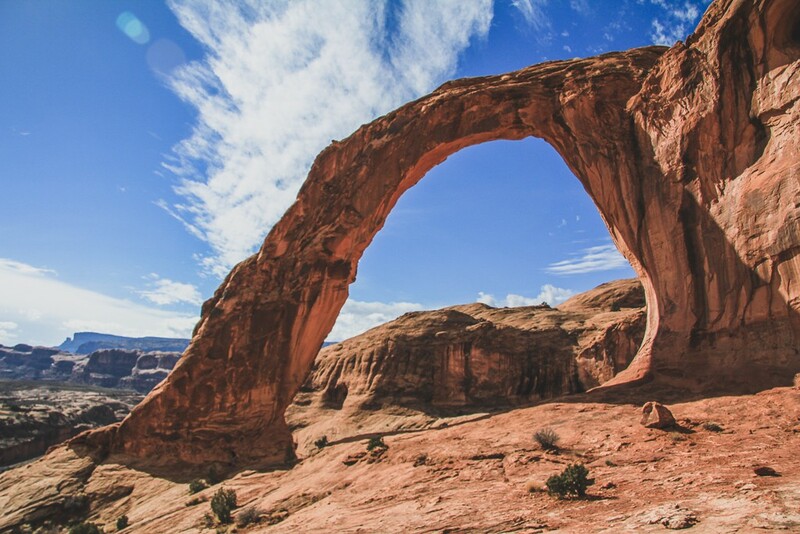 Some of the highlights of the Arches are Delicate Arch, Devil’s Garden, Park Avenue, the Windows and Double Arch, and Fiery Furnace if you want something a little different. The Windows area is a great place to watch the sunset and if you want to see Delicate Arch (if you do one thing in the park, it should be this) try going at sunrise. Canyonlands has two areas that you can easily explore from Moab: Island in the Sky (the most popular and easiest to get to) and The Needles. If you only see one, make it Island in the Sky, where you can hike to Mesa Arch and Whale Rock. Upheaval Dome is another great option. Stop at all the viewpoints, especially Grand View Point at the end. You can see White Rim Road way down above the canyon. A great stop on the way to The Needles is Newspaper Rock. This doesn’t need a whole day, but a morning or afternoon, for sure. First, stop at the petroglyphs on the side of the road. There are tons of them and they’re easy to spot. There is also a small sign marking them. 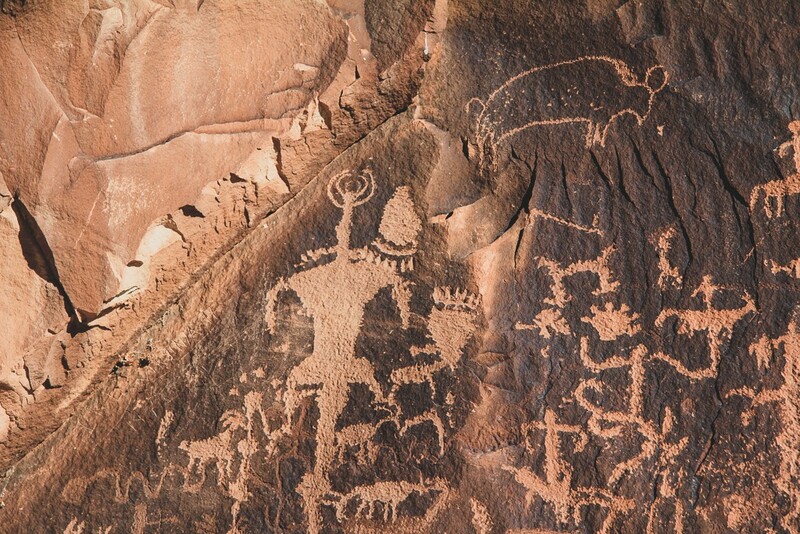 Next, stop at the Poison Spider Trail to see easily accessible dinosaur tracks and a few more petroglyphs. Finally, hike up to Corona Arch. This will take a couple of hours, but it’s worth it. Dinosaur tracks galore! One easy access site where hundreds of dinosaurs roamed (literally) is the Mill Canyon Dinosaur Track Site. There is also a dinosaur trail in the same spot. The Butler Wash Ruins are an easy day trip just outside of Blanding. And while you’re over there, stop at the Edge of the Cedars State Park to see a small ruin site and an unreal amount of pots, arrowheads, and other archaeological goodies. 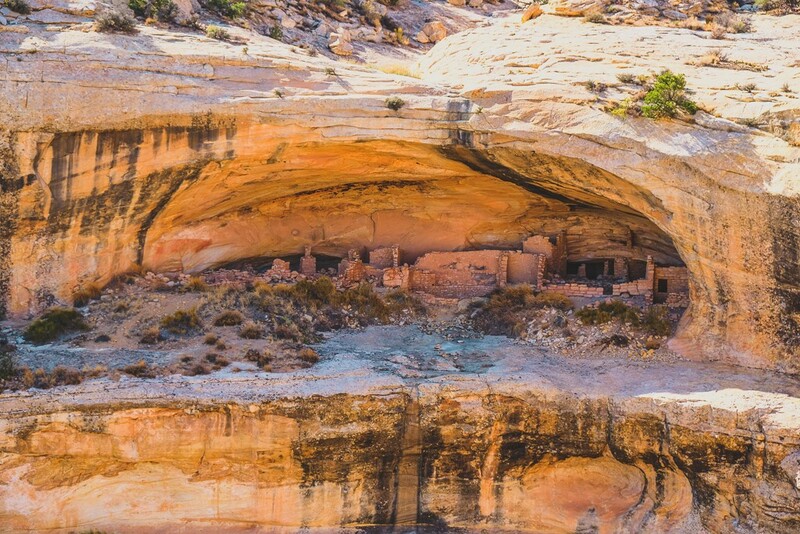 This area is a hot spot for archaeology and is a great place to dip your toes into the ancient Puebloan culture. Take a drive down the River Road and hike to Morning Glory Arch and admire the Fisher Towers and La Sal Mountains. No, it’s not in Utah, but Page in Arizona is the perfect addition to a loop from Moab to Zion. 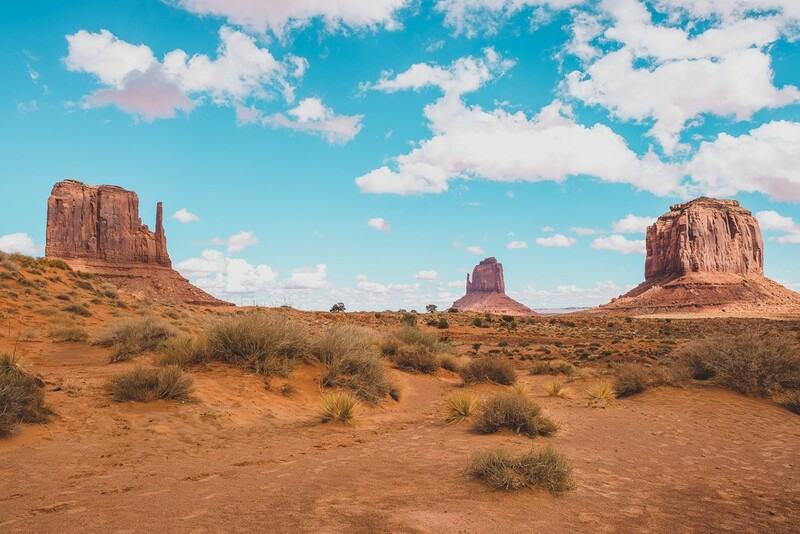 Stop at Monument Valley on your way and do the scenic drive. You can do it without a 4WD, I promise. A friend and I drove it in a Honda Civic this year without issue. This is the slot canyon you’ve probably seen a million pictures of even if you didn’t know its name. Try and get there for mid-day (noonish) if you want to see the famous light beams. This will be the busiest time of day, though, so if you want fewer people and aren’t super particular about getting great photos, morning might be a better option. 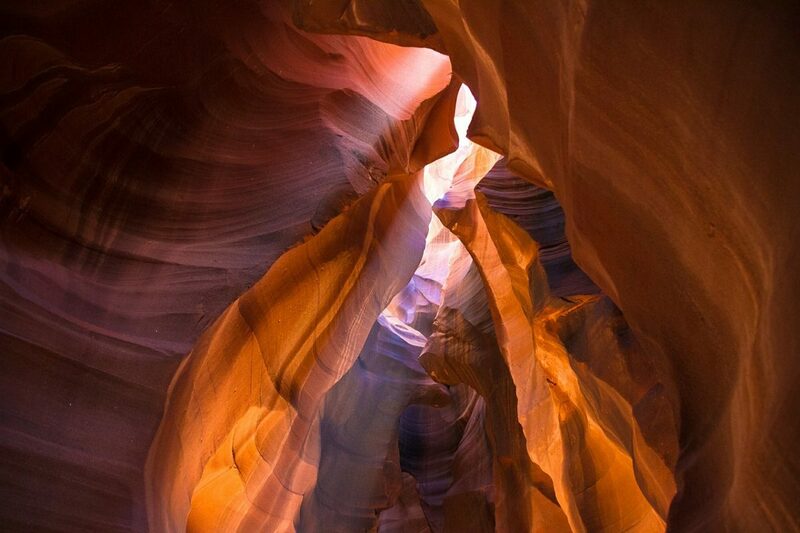 You can choose between Upper and Lower Antelope Canyons and can see both only by tour since they are on Navajo land. You can also see both in a day. I used Dixie Ellis Tours and really enjoyed it. This is the other thing you’ve probably seen a million times but still have to check out. 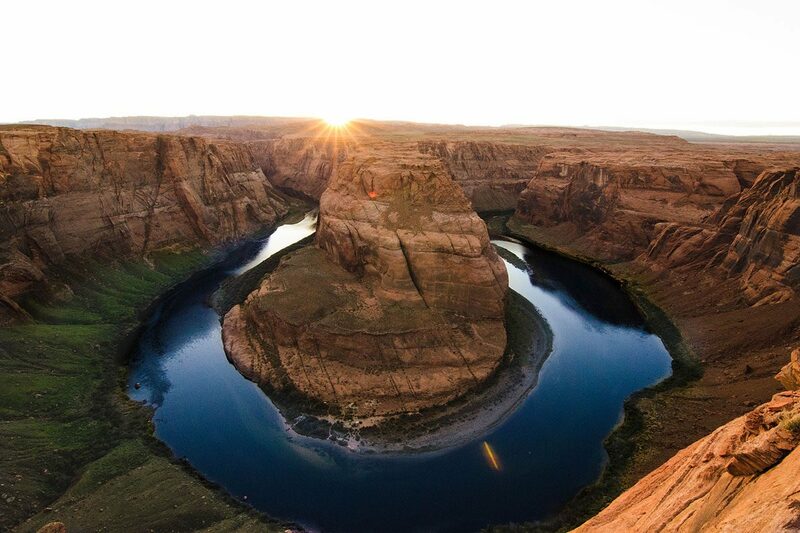 Hike down to Horseshoe Bend at sunset for the best views. I mean, it’s great no matter what time you go, but sunset is amazing. This will also be very crowded and be careful on the edges. If you go during the day mid-summer, definitely bring water. This hike was longer than I thought (but still less than two miles round-trip) and it’s HOT. 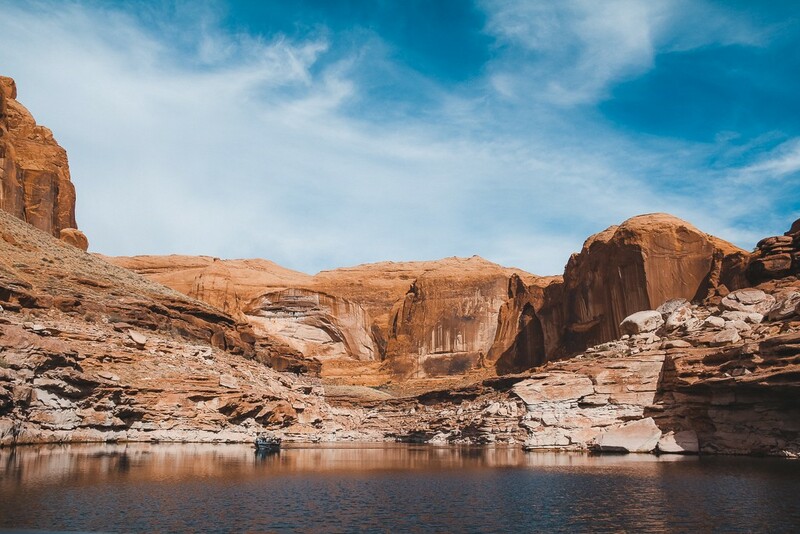 If you have a spare day (and a spare few hundred dollars) rent a boat to explore South Lake Powell. I’m biased and love it because I work at the north end in the summer. If you don’t want to rent a boat, there are boat tours available to take you around some of the lake and to Rainbow Bridge. For this area, you don’t have to stay in St. George, but it’s the city here, so there are plenty of options for accommodation and food. If you want to be closer to Zion, Hurricane is a good area and Springdale if you want to splurge and be right outside the park. 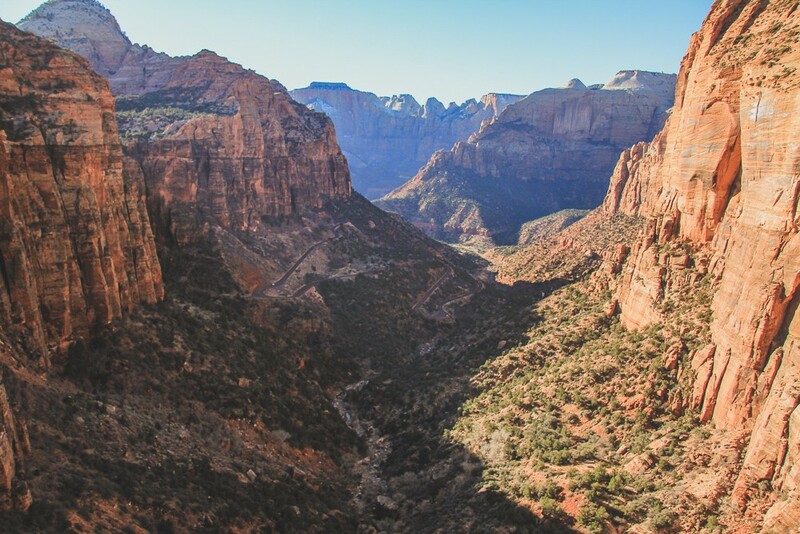 You could easily spend all five days in Zion, but you’ll probably want to see other things too. In the main area of the park do the Narrows, Angels Landing (if you’re not afraid of heights), Observation Point, Hidden Canyon, and Canyon Overlook. These are just a few of the trails, but you can find a lot more to choose from once you’re there, too. They will be extremely busy, so I would start your day early or go later in the evening. If you have time, head over to the Kolob Canyons area and hike the Taylor Creek Trail. 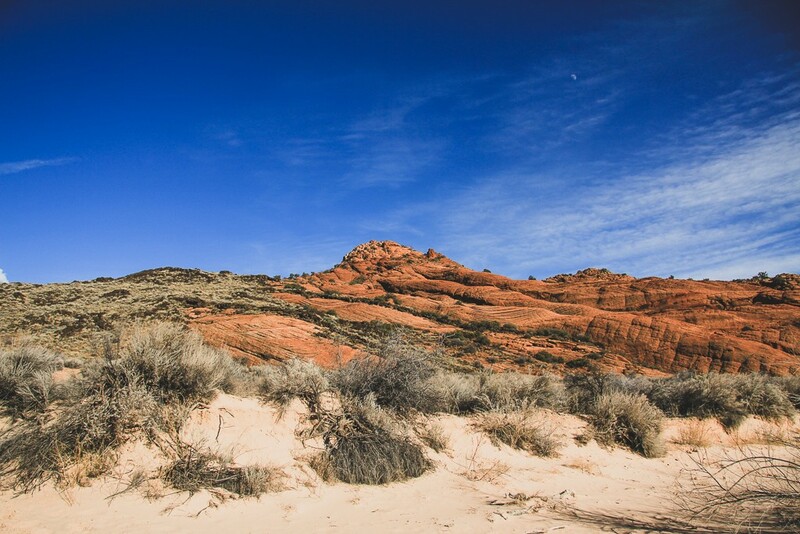 If you want a break from the Zion crowds, head to the mini-Zion in Snow Canyon State Park. This is one of my favorite state parks in Utah so far. Hike in the canyons, see pioneer names and venture into lava tubes here. 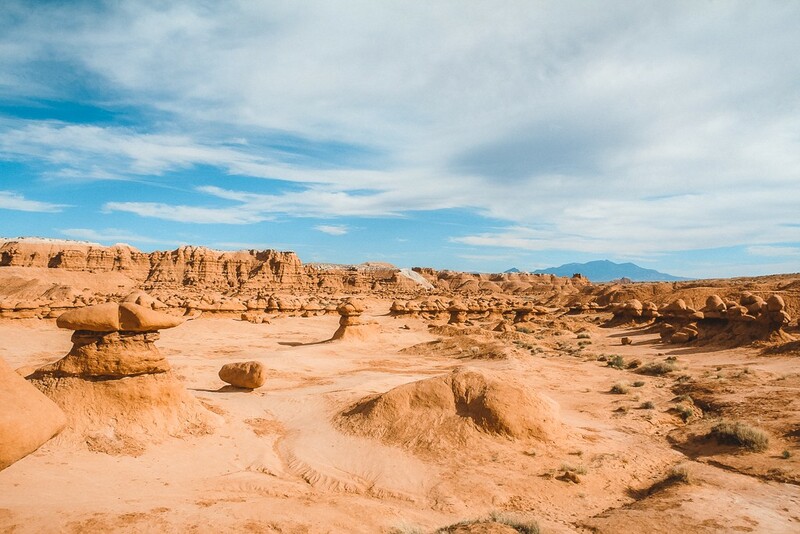 This is a little further from St. George, but it’s still worth visiting. You could combine it with a trip to Vermillion Cliffs/White Pocket/Coyote Buttes to make a day of it. 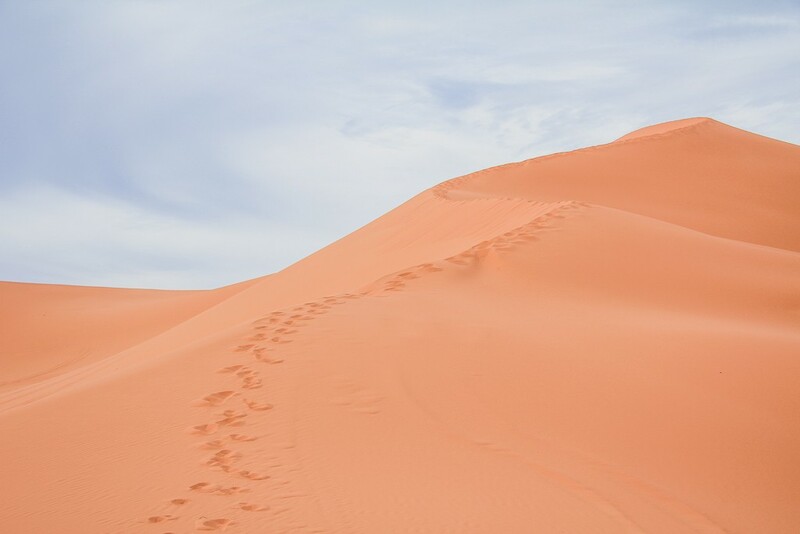 Wander around on the coral pink sand dunes (weird how it got its name, right?) and admire the views. If you’re here in the summer, watch out for ATV’s. This is a national monument not too far from Cedar City, which isn’t too far from St. George. It’s similar to Bryce Canyon, so if you’re limited on time, I’d just go with Bryce, but if you’re flexible, this is a great place to spend an afternoon. Bryce Canyon is a must – definitely spend a whole day here. Other than Bryce Canyon, there isn’t a ton of stuff to do right here, but it’s definitely worth visiting. A lot of people ask me if they should go to Bryce or Zion and my recommendation is always “only go to Bryce if you’re actually going to hike into it, not just do the scenic drive.” And I stick with it. Now, I know not everyone is able to hike into it, so if that’s your case, still go, but if you are able to hike into the canyon, DO IT. It will completely change your experience in the park. If you can only do one hike, the Queens Garden/Navajo loop trail is perfect, It’s busy, but it’s still worth it. The Fairyland Loop is another great option, just get into the hoodoos (those are the weird formations). If you have time, check out the waterfall at the Mossy Cave area. That’s a good stop on your way to/from Kodachrome Basin. This is a state park nearby with some great hikes to arches and just through the desert formations. It’s the perfect addition to your stay at Bryce if you’re flexible on time. If you’re on a time crunch, you can skip it, but it’s still fun to visit. Boulder is a small town where I’m convinced everyone is either a hippie or a rancher. I could be wrong, but I’ll stick with it for now. 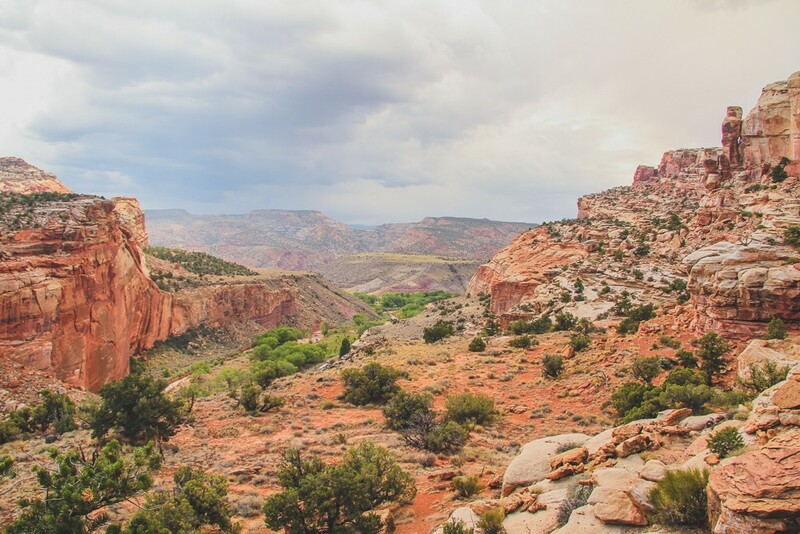 Like most places on this list, you could definitely spend a lot more time in Escalante, but it’s just not always possible, so in your one day, I would recommend a hike to Calf Creek Falls (upper and lower) and the 100 Hands Pictograph above the Escalante River. Once you’re done with that hike, take a dip in the Escalante River. Trust me, you’ll want to. It was only 82 degrees when I went and I wanted to. Another option if you’re feeling more adventurous is to head down Hole in The Rock Road and see the slot canyons. Torrey is the perfect base for Capitol Reef, possibly my personal favorite of the Utah national parks. There is so much to do here; you could spend all three days there and stop at Goblin Valley on your way back up to Salt Lake. 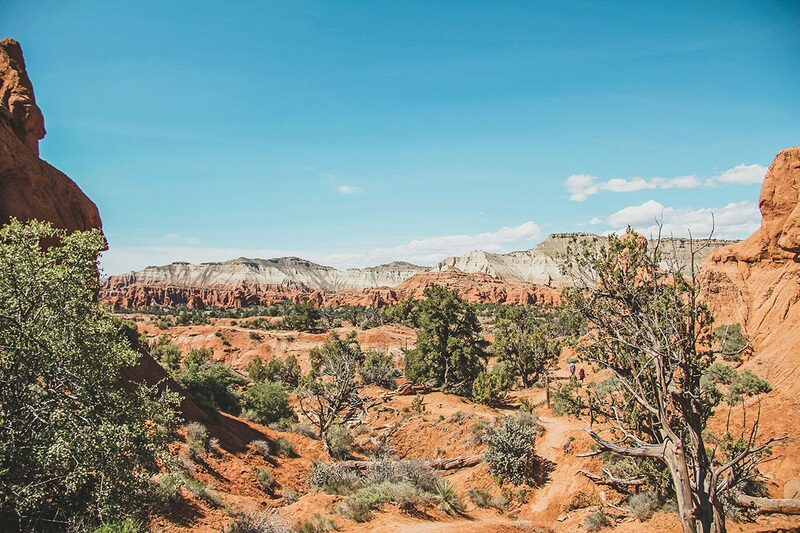 If you’re wondering what to see in Utah that will combine history and hiking, look no further than Capitol Reef. In the Fruita district, visit the schoolhouse and the historic Gifford Homestead. If you’re there later in the summer (July-September usually) pick fruit in the orchards! For hikes in the main area, definitely do Hickman Bridge, Pioneer Register and the Tanks, stop at all the overlooks, and see the petroglyphs. If you want a full day hike and to cool off a bit, do the Sulphur Creek trail. You can always do part of this from the visitor center if you just want to cool off in the water. If you want to see more backcountry, take Notom Road to the Waterpocket Fold and hike Headquarters and Surprise slot canyons. It’s a lot less busy down there. Finally, one of the coolest state parks, Goblin Valley is basically a playground for grownups. I mean, it’s great for kids, too, but it’s really fun. Goblin Valley is a valley made up of formations that look like goblins, hence the name. You can climb on them and up them and just run around and it’s just so fun. If you feel comfortable, you can climb up the higher stuff along the back wall and overlook the highway you came in from. This is the perfect thing to do on your way back up to Salt Lake. Unfortunately, your time is up now and you have to go home. If I were you, I’d spend this last night just relaxing, but if you want to pack in a little more, explore a bit of Salt Lake one last time. Megan is a Wisconsin native currently working her way around the US at seasonal national park jobs. Lake Powell in Utah has been her summer home for the last few years. She enjoys hiking, the desert, road trips, and Harry Potter. You can probably find her napping, reading, or drinking a lot of coffee. Follow her on her blog, Red Around the World, or follow her on Instagram or Facebook.